Berenberg pedal power raise thousands! 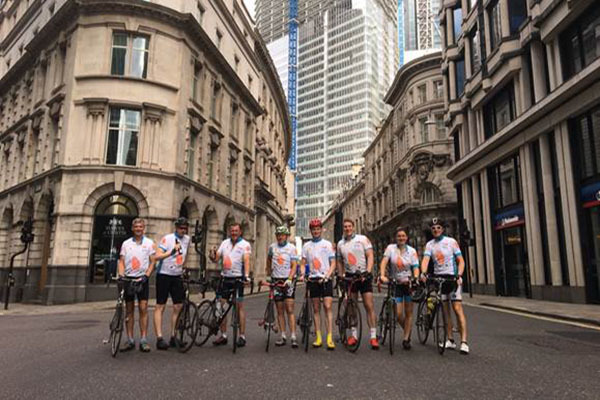 A brilliant band of cyclists from corporate supporters Berenberg got on their bikes this June to cycle the route between each of their offices…which just happen to be in Germany and England! 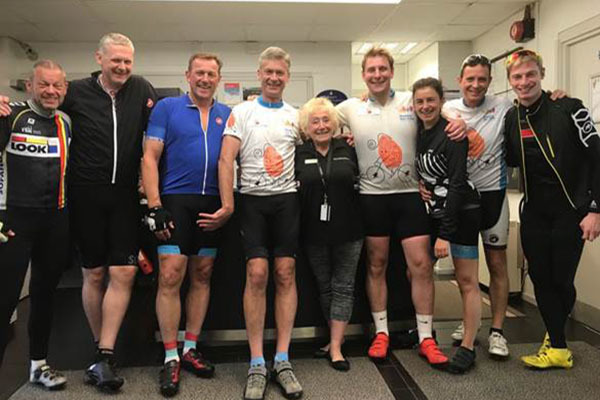 Their aim was to beat the amount raised last year by seven fellow Berenberg employees who completed the 423 miles from London to Germany to raise over £11,000 in aid of Shooting Star Chase. 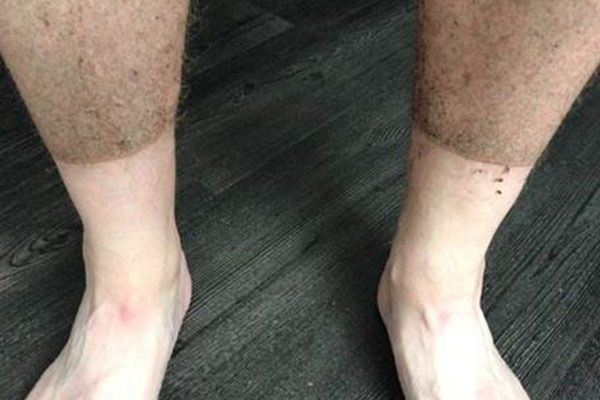 The 2018 team of eight intrepid cyclists decided to reverse the ride starting at their Headquarters in Hamburg, aiming to cover 116 miles on day one to Cloppenburg, Germany. 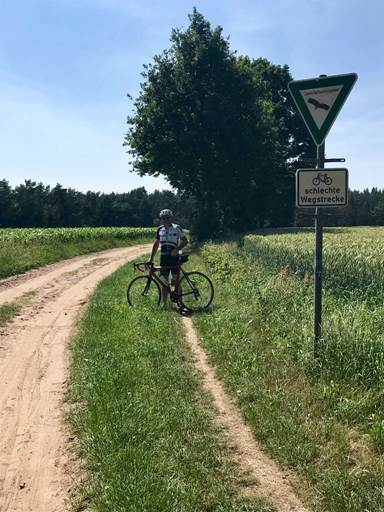 After a slow start escaping Hamburg the group reached open roads to start covering some miles, taking them across splendid German countryside, fields and forests. Contending with 35 degrees, Miranda from the team handily had some cooling Rose wine to celebrate completing the first day! The penultimate day, took the group from Deventer to the Hook of Holland via Utrecht covering 109 miles through the flat Dutch landscape which was a benefit to their legs! After a restful night on the ferry to Harwich the team awoke to their final day with just(!) 93 miles to go. Tracking through the countryside and towns of Harwich, Colchester, Chelmsford, Havering and Strafford and were treated to a lovely lunch outside a cricket pavilion in a small village called Danbury the group set off on the final straits. The team eventually reached the City just after 4.30pm – with a celebratory Prosecco on hand to enjoy their amazing achievement! “It wasn’t all pain and aggro. We had a lot of fun and camaraderie alongside aching muscles and bottoms, not for the faint hearted but very rewarding.” said Trevor. The team are well on their way to raising over £10,000 – which you can donate toward here! 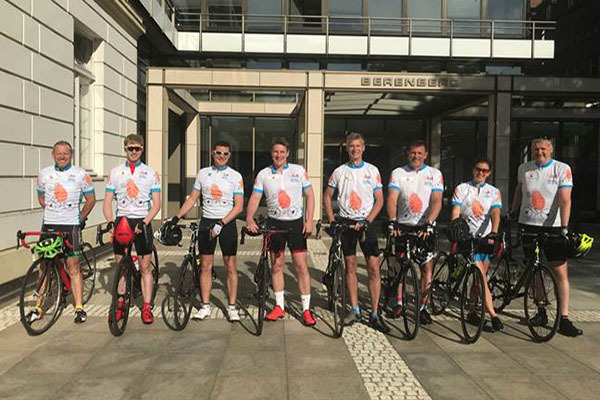 Berenberg started supporting Shooting Star Chase early 2017 and since then have been completing fantastic fundraising challenges – including the two cycling challenges! Further fundraising activities have included various office activities and staff taking on the Shooting Star Chase Apprentice Shop Challenge. Teams from Berenberg took over three of the Shooting Star Chase charity shops and raised over £4,000 in just one day! In addition to office fundraising, a brave team of nine tackled Tough Mudder, an endurance obstacle event, and raised over £2,000. For more information about challenges you could take part in visit our events page! If you would like to find out how you can become a partner, like Berenberg, please click here. If you would like to learn more about other corporate partners, click here.